The economy has shifted from import substitution to manufactured goods shipments but needs to embrace high technology and value-added goods to compete. 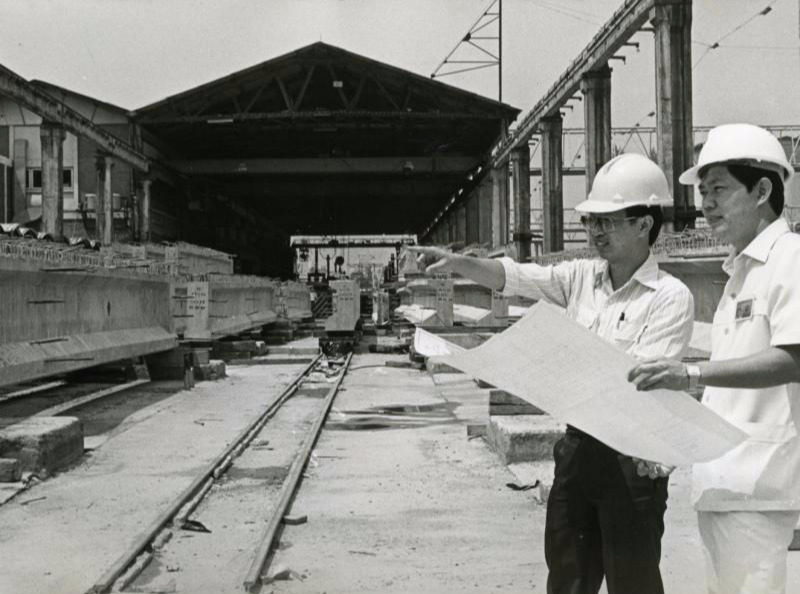 Concrete Products and Aggregate Co, part of Siam Cement Group, announced a long-term expansion programme on May 11, 1984, to open more plants in the country. As one of the most vibrant economies in the region in recent decades, Thailand has undergone economic restructuring on a continuous basis, starting from a resource-based agricultural economy to import-substitution industrialisation in the 1960s to export dependence today. Thailand is an export-oriented economy with shipments accounting for about 70% of GDP. It mainly exports manufactured goods (80.5% of shipments), agricultural goods (9.1%), agro-industrial products (8%) and minerals and fuel (2.5%). Major export partners are the US (10.8%), China (10.1%), Japan (9.9%), Hong Kong (5.3), Malaysia (4.7%) and Australia (4.5%). Others include Singapore, Indonesia, Vietnam and the Philippines. 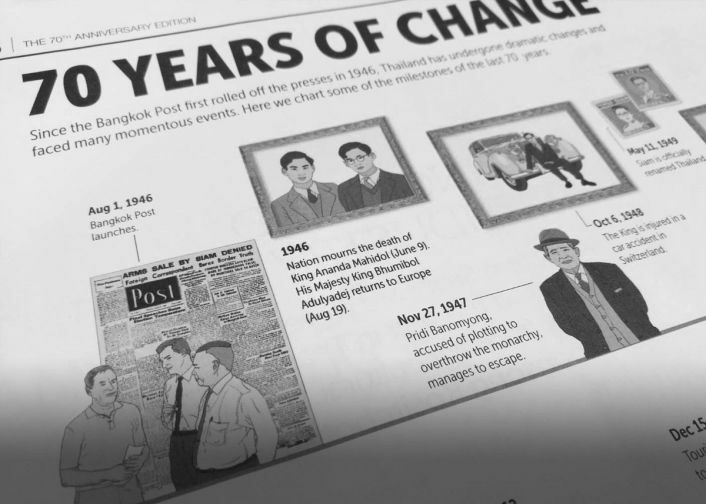 The Thai economy joined the global system in the 1960s, with the government pursuing an import-substitution industrialisation strategy under the Promotion of Industrial Investment Act to tackle a growing trade deficit because of increased imports of capital and immediate goods. 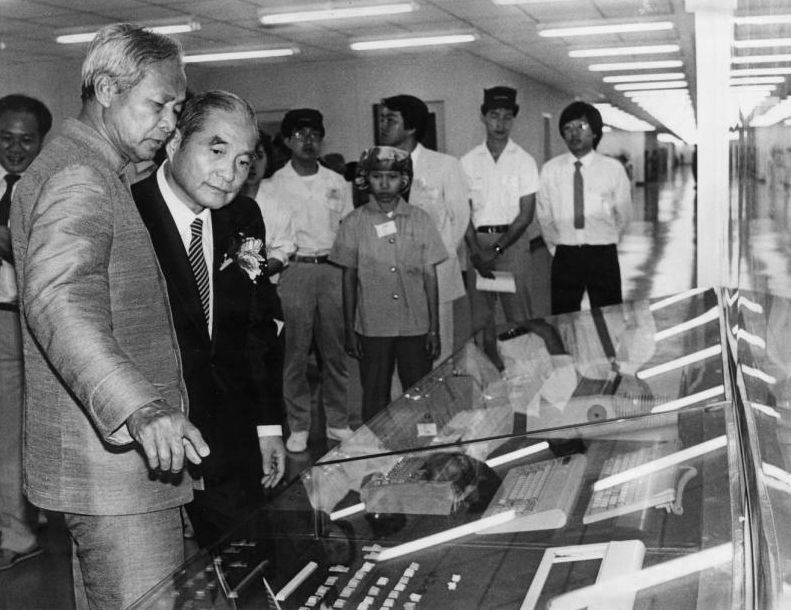 PM Prem Tinsulanonda opens the new factories of Minebea Thai and Pelmec Thai at Bang Pain, Ayutthaya, on Nov 10, 1985, as part of the Board of Investment’s plans to promote foreign investment. 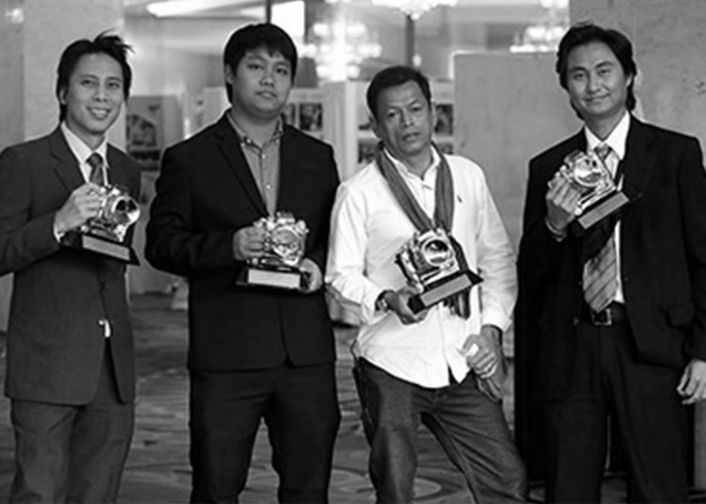 The government created incentives for promoted industrial firms, mainly big foreign companies in Bangkok. An export tax was imposed on agricultural products, rice, rubber, logs and wood. Manufacturing sectors were not subject to taxes and were highly protected by quantitative restrictions. 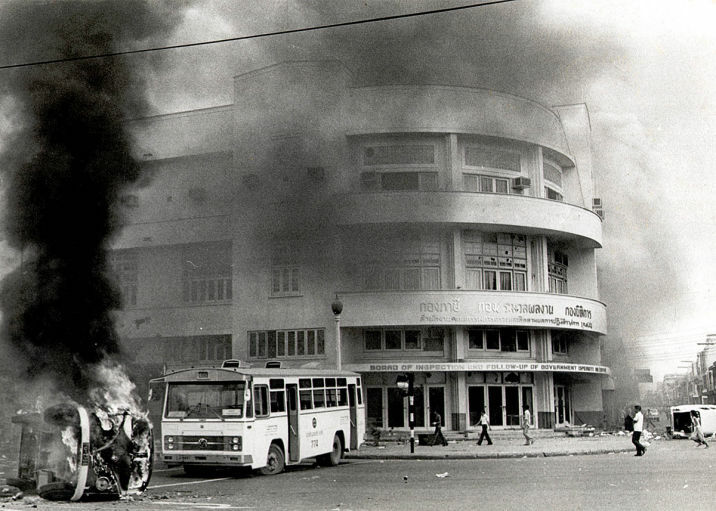 The 1970s was a period of rising nationalism when Thailand and other developing countries all initiated localisation policies. Thailand restricted foreign capital and limited the types of jobs and sectors in which foreigners were allowed to work. The country began to adopt export promotion policies but continued import substitution with a shift towards heavy industry. After planning heavy industrial complex projects, the country entered a recession in the early 1980s because of the effects of the second oil shock, causing a problem with the balance of payments. In response, the government adopted a structural adjustment programme and set up further export promotion measures. Exports by labour-intensive manufacturers expanded rapidly from the mid-1980s because of the international adjustment of the exchange rate at the G5 Plaza Accord of 1985. Japan and Taiwan began to relocate industrial plants to Thailand. Appreciation of the yen pushed Japanese firms to keep their comparative advantage in labour-intensive industry via investment overseas, and Thailand was an attractive relocation destination because of high economic growth, low inflation, an abundance of cheap labour and rich natural resources. In the 1970s, manufactured exports began expanding considerably and its share of merchandise exports rose dramatically from 2.4% in 1961 to 10% in 1971 and 35.8% in 1981. Export growth was remarkably high at 15.2% per year. The turning point in terms of economic growth and international trade was in the mid-1980s when manufactured exports surpassed traditional agricultural products (rice, rubber, maize, sugar cane and tapioca) in value for the first time. Manufactured exports grew at an average of 35.7% per year from 1985-90. Key manufactured exports included textiles and garments, canned foods and canned fish, gems and jewellery and integrated circuits. Thai shipments enjoyed healthy growth from 1991-95, averaging gains of 19.6% a year, before shrinking to 1.38% in 1996 ahead of the Asian financial crisis when the baht was floated after years of a fixed exchange rate. The lower exports were also a result of losing competitiveness to China, which had cheaper wages and used high technology. Thailand seemed unready to compete with export rivals that used higher technology for electronics and cars. The Board of Investment increased its incentives to attract foreign direct investment in those industries. Electronics, electrical appliances and cars later became the main export-income generators, contributing 30-39% of exports from 2000-14. From 2012-14, Thailand’s export growth shrank for consecutive years because of the world’s economic slowdown, led by the US and Europe. Thai shipments fell 5.78% in 2015 from a contraction of 0.4% in 2014 and 0.3% in 2013. Exports had risen 2.93% in 2012, 15.2% in 2011 and 26.8% in 2010. An increase in daily minimum wages in 2012-13 as well as worker shortages affected labour- intensive industries such as garments and textiles. However, some economists said Thailand’s three years of falling exports mainly reflected structural problems, as the country’s manufacturing and export structure had hardly changed over the past 20-30 years, with agricultural commodities such as rice, rubber, tapioca and fruit still the leading export items.